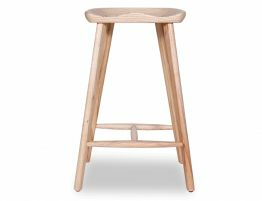 With sleek lines and durable black finish, the Saddle Stool adds just the right note in your contemporary kitchen design. 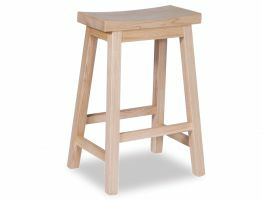 Constructed from solid American ash, this black saddle stool features a comfortable contoured seat with flared legs. 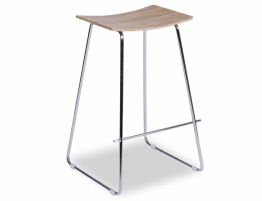 This simple black wood bar stool looks great in modern and transitional spaces and is a great addition to your kitchen counter seating. 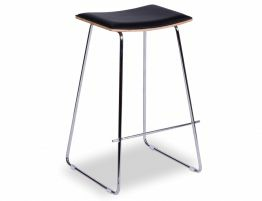 The black backless bar stool is simple but beautifully designed distilling each element to its very essence. 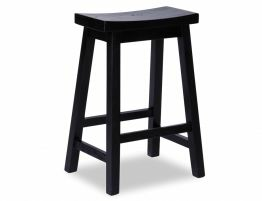 Put this black wood counter stool along your counter height dining or breakfast bar seating for an instant update. 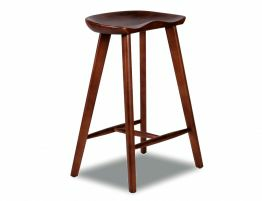 At Relax House furniture, we offer a huge selection of affordable and discount bar stools to help you outfit your home. 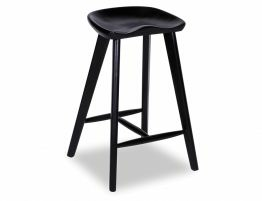 Whether you are in search of a backless black saddle stool like the one here, or you need complete dining room or kitchen furniture, we have the on-trend must haves as well as classic contemporary and modern furniture pieces.